Special Care Dentistry was established in District Heights, MD, in 2005. In 2014, we moved from District Heights to Landover, MD, and opened our Suitland, MD, location in 2015. We have two convenient locations to serve you in Landover, MD and Suitland, MD. Dr. Nekia Staley-Neither is native Washingtonian. She grew up with a love for caring for others with special interest in medicine. She matriculated at Spelman College in Atlanta, Georgia as a pre-med Biology major. 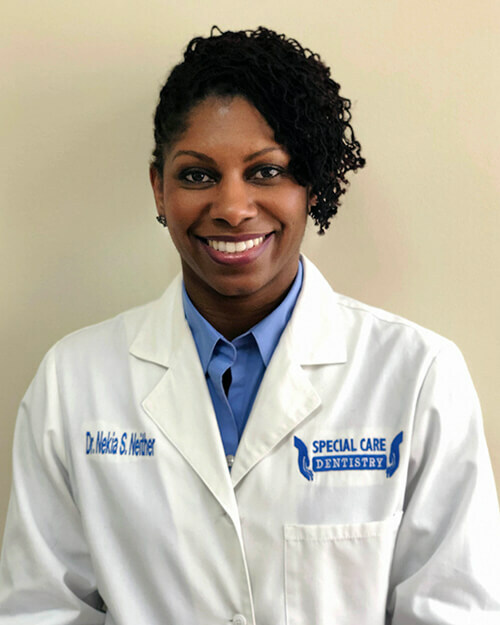 After choosing to pursue a career in dentistry she attended and graduated from Howard University College of Dentistry with a degree in Doctor of Dental Surgery. Enhancing Dr. Staley-Neither's commitment to providing care to person of all background she is currently a Decod Fellow at the University of Washington at Seattle where she has and continues to train to treat and accommodate mentally and physically challenged person. Dr. Neither has been involved with special needs person children especially since her elementary years. Volunteering at the Hospital for sick children and various shelters in Atlanta where she completed her undergraduate studies has encourage and dedicated her to provide quality and special care to all. Dr. Staley-Neither is a member of the American Dental Association and National Dental Association. You can also find Dr. Staley-Neither participating, sponsoring, and serving in various health fairs, dental fairs and other community service projects in the Washington Metropolitan Area. She is a caring and committed professional who is dedicated to her patient's dental health. She is active in both the Maryland State Dental Society and the American Dental Society.